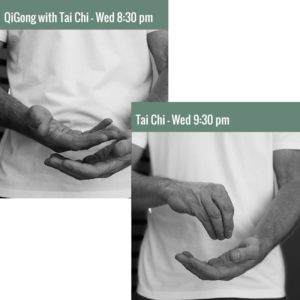 Gain the full benefit from the Qigong discipline by taking 2 classes per week. This package combines Qigong with Music (Mondays 6:30 – 7:30 pm) and Qigong with Tai Chi (Wednesdays 8:30 – 9:30 pm) – both classes in Uxbridge. 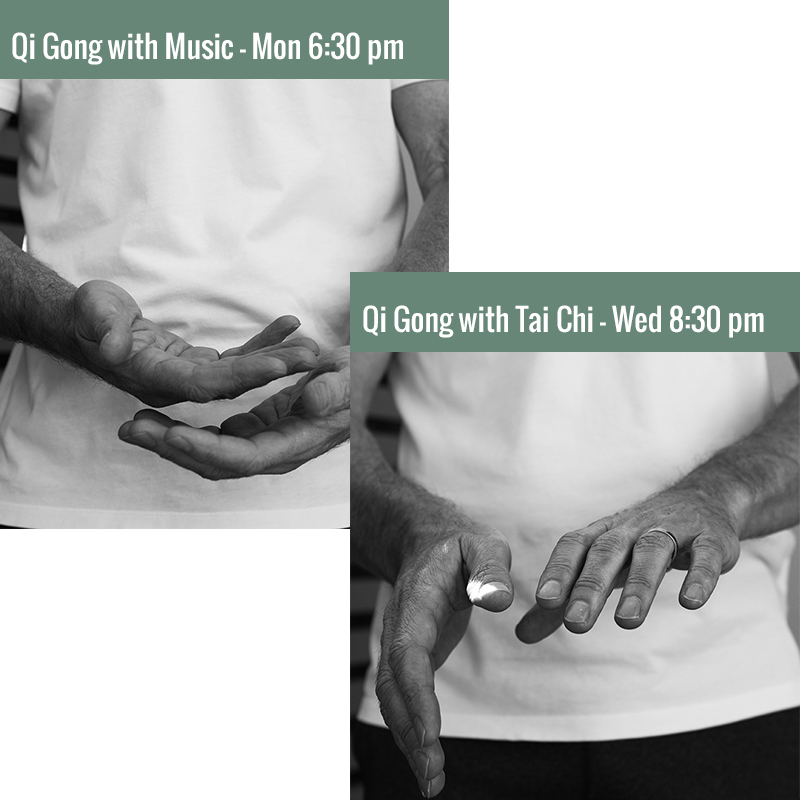 A 1-hour class devoted entirely to Qigong with individual exercises and specially-constructed sequences. This class uses music to help regulate the breathing and encourage the body to follow the breath. Very accessible to beginners and an ideal way to build confidence in all the Active Qigong disciplines.